Regular attendance is critical for every child. If a child is unable to attend school because of ill health or for any other reason, parents/carers should notify the school by telephone before 9.30am on the day of absence and in writing when they return. In the event of no notification, a school staff member will contact the parents/carers by telephone the same day. The telephone number is 0191 4274343. Absences for which we receive no explanation or which are not due to ill health may be recorded as unauthorised. Some illnesses do not require obligatory absence from school as they are not contagious. However the best place for a child who is feeling ill is at home. Children often want to return to school before they are completely well and as a result often end up being sent home half way through the day. 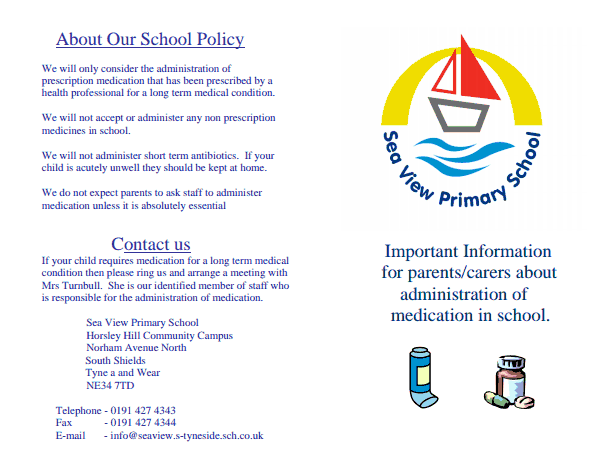 Please ensure that your child is well enough before allowing them to return to school. If your child has a contagious condition such as impetigo, chicken pox or measles he or she must be kept at home until the rash/spots are dry. Other contagious conditions can be looked up on the Internet. The link below recommends how long children should remain at home following a contagious illness. 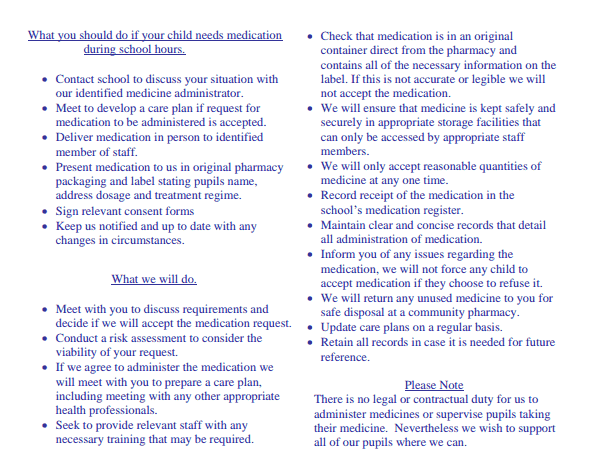 In the case of conjunctivitis we are aware that there are differing opinions regarding when it is safe to return to school. This condition can often be uncomfortable and distressing for a child so we ask parents/carers to take their child to a GP to receive treatment. Once treatment has begun the child can return to school.